Within its overriding theme ‘The Power of Less’, Beneo is focusing on balancing blood sugar levels at Health Ingredients Europe 2014 from December 2 to 4 at Amsterdam, the Netherlands. The company will demonstrate how its ingredients can lower the blood glucose response of food and drinks and consequently contribute to healthy lifestyles. In addition to blood sugar management, it will also be putting its gluten-free solutions on center stage at the show. High glycemic diets have been linked to the increased incidence of non-communicable diseases, such as diabetes and obesity. With consumers increasingly aware that low glycemic products contribute to healthy nutrition, the move to offerings that promote blood glucose management is gaining pace. In 2013, research company Mintel says the number of worldwide launches with a low glycemic claim increased by almost 20% compared to 2012. In Asia a recent consumer research by the company shows that 69% of the consumers in Thailand and 39% of Indonesian consumers are concerned about maintaining healthier blood sugar levels. Power Chews that incorporate low glycemic carbohydrate, Palatinose. These chews are not sticky and maintain their soft texture during shelf life. With a sugar-like, mild sweetness, the ingredient has been used in this formulation to bring down sucrose levels and achieve a slower rise in blood glucose. Velvety Yo-fruit Sips, which contain Palatinose and Orafti®Synergy1 (oligofructose-enriched inulin). 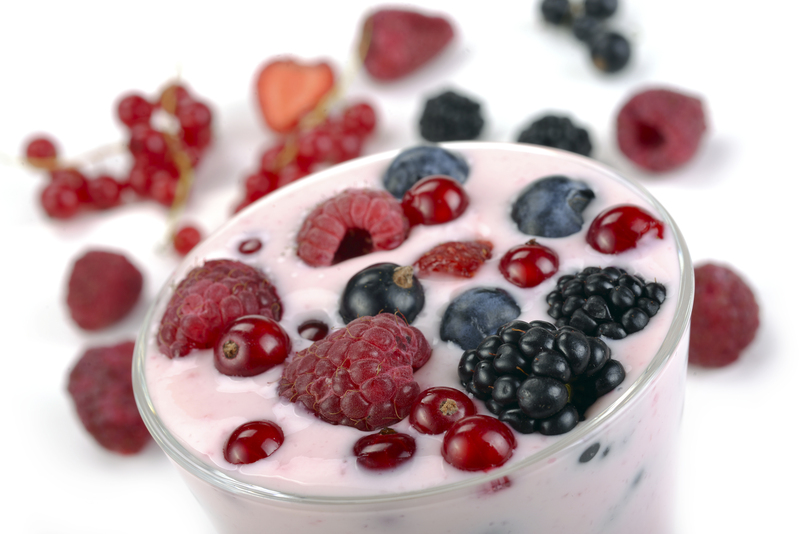 This fruit-flavored yogurt drink is low glycemic and a good source of fiber. While it is fat-free, the drink maintains a creamy mouth feel using rice starch. Gluten-free scrumptiously soft muffins, which contains Beneo’s rice starch, rice flour and oligofructose. These muffins retain their moistness and freshness for longer. They are also a good source of fiber. Gluten-free crunchy choc-chips, which contains Beneo’s highly soluble inulin HSI, rice starch and rice flour. These sugar-reduced cookies are gluten-free and high in fiber. The inulin HSI creates a mild, sweet taste in the cookie dough and, containing rice starch, the cookies have extended shelf life and texture.